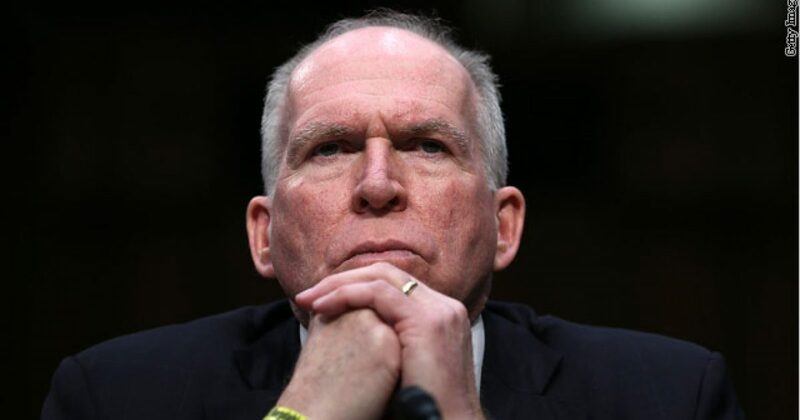 Former CIA Director and crooked Obamabot John Brennan is a guilty dog barking. The man should be in prison for treason. He isn’t yet, because the Deep State still exists. Thus, holdover swamp rats protect him temporarily. But his day approaches where he justice kicks him square in the nuts. And it revolves around the Russians. Bob “Clousseau” Mueller can’t seem to locate any Russian collusion on Trump. And Lord knows he refuses to investigate actual Russian collusion. But the game has changed dramatically for him. Second, the gauntlet of protection has rapidly disappeared from around him. According to a report earlier this month former Senate Minority leader Harry Reid believed Brennan was using him in order to publicize pretend links between Trump campaign associates and the Russian government. Who knows and who cares why Brennan visited Russia. The fact is he did and Trump didn’t, case closed. Victor David Hanson summarized things well showing the bread crumbs of evidence that condemns Brennan and others in the Obama administration. To date, Mueller has dismissed almost every real Russian connection to in this pursuit of collusion. So he will likely do the same here. But soon he will have no choice but to finally show where the real scandal lies, and all of Conservative America awaits our comeuppance. What did Brennan go to Moscow for? Given the secrecy of the visit, one wonders. If the visit is anything like Bill Clinton’s fortuitous tarmac visit with then Attorney General Loretta Lynch, I’m sure Brennan just discussed golf and grandkids with the Russian Deputy Foreign Minister.